For the last 30 years Lions clubs around the world have proudly sponsored the Lions International Peace Poster Contest in local schools and youth groups. This art contest for kids encourages young people worldwide to express their visions of peace. To celebrate our 30th anniversary, we have an updated look and encourage every Lions club to engage with the youth in their community to sponsor a Peace Poster Contest entry. The theme of the 2018-2019 Peace Poster Contest is "Kindness Matters." Students, ages 11, 12 or 13 as of November 15, are eligible to participate. LCIcon Milan, Italy- Dinner in Milan/MD4 Caucus $65 pp only 170 tickets available. IP Gudrun Yngvadottir launched a new Program on July 1, 2018 called New Voices! Final Contest-June 8, 2018; Airtel Hotel, Van Nuys 2:00 PM. The MD-4 Directory is now online under the Administration tab. It is password protected and you can obtain the password from your District Governor. 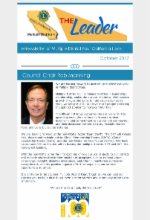 November 15, 2019: Postmark deadline for a club to send one winning poster (per contest sponsored) to the district governor. NOTE: Club must notify district governor in advance of its participation. December 1, 2019: Postmark deadline for a district governor to send one winning poster the th Multiple District Four headquarters for the state contest. 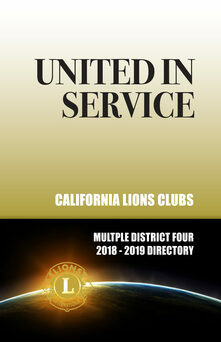 December 15, 2019: Postmark deadline for tMultiple District Four to send one winning entry to Brand and Marketing Strategy at Lions International Headquarters. February 1, 2020: The club president of international winner will be notified on or before this date.